In the latest episode of Nicholas Tse’s (謝霆鋒) cooking show Chef Nic <鋒味>, he and guest star Victoria Song (宋茜) traveled to the Czech Republic to taste local delicacies and cuisines. There, they chatted with an 80-year-old elderly woman from Beijing, sharing and exchanging cooking secrets and life wisdom. The woman asked Nicholas if he is married, and the actor shyly said not yet, provoking laughter from his crew. Nicholas reflected on the woman’s words. Married to Cecilia Cheung (張栢芝) for six years, they divorced in 2011, but are still raising their two sons together. 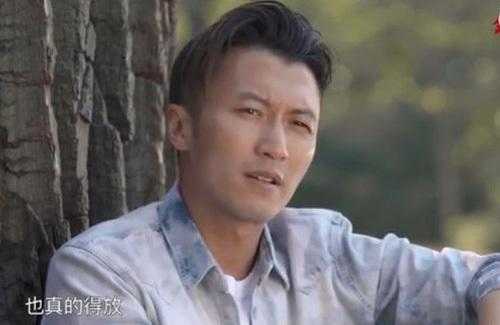 Nicholas rarely talks about his love life, and although he is now back with Faye Wong (王菲), who he dated before Cecilia, he wants to keep his life as private as possible. I know about Cecilia and her nudes photos scandal thanks to Edison but she was still a victim afterall. Did Nic divource her due to the photo leak? Before going for divorce. As a dad – he was never quite there either – always gaming when he was home on breaks. So Cecilia erred … but through it all – she looks like a responsible mom. Nic was cheating with Cecilia while dating Faye until he got busted in a car crash. So he’s hardly lily-white … those 3 have a weird relationship. @nomad822 It seems Nic’s image didn’t even take a hit. He is as popular as ever. Yup like I said – like the rest of his family – image is imp to them. He knows how to ‘act’ the good guy – being the supportive husband when the scandal broke. Everyone was saying how ‘big’ he was in his generous acceptance.